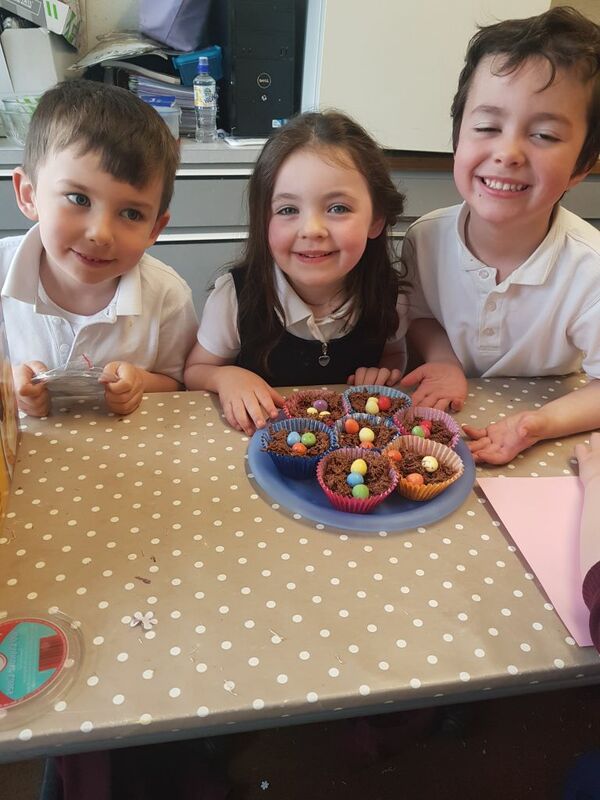 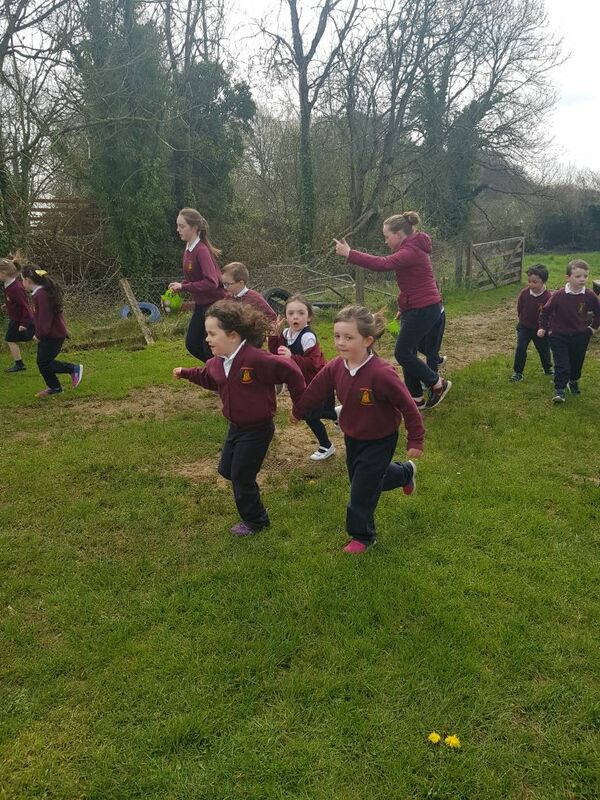 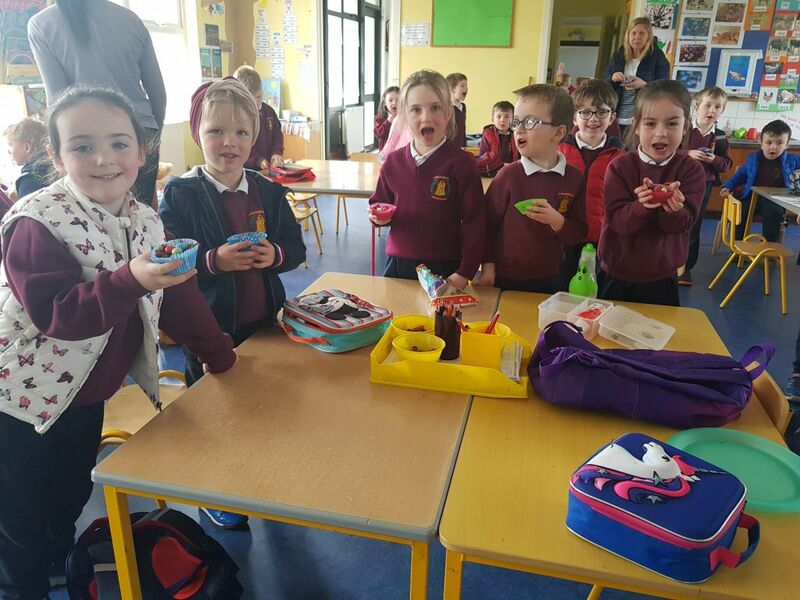 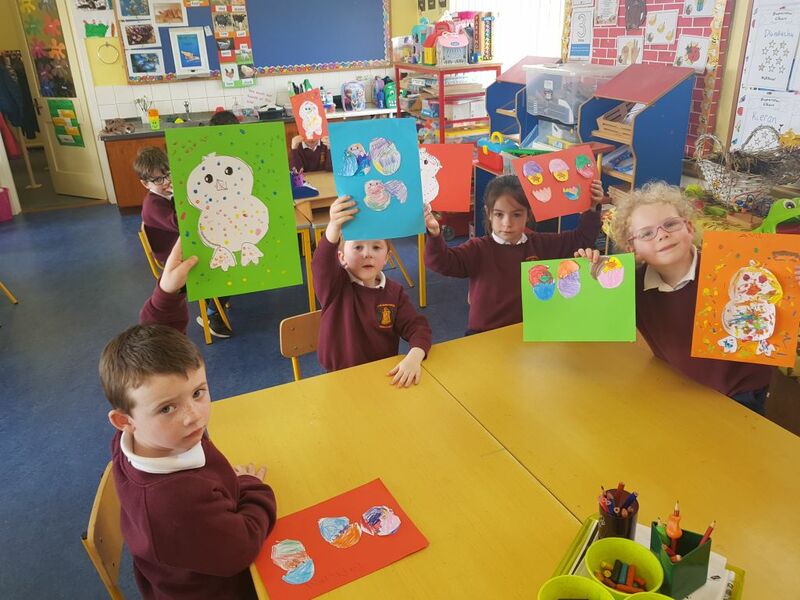 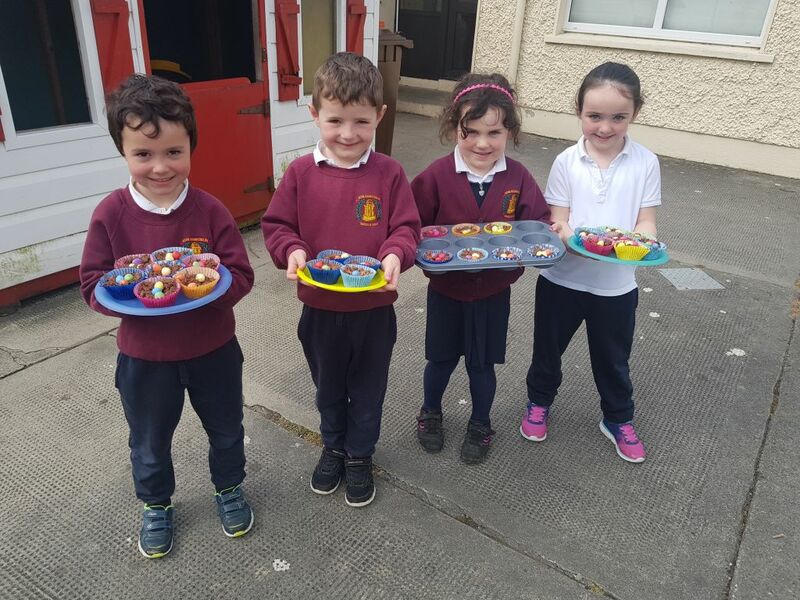 Egg-citing times in junior infants as we prepare for Easter. 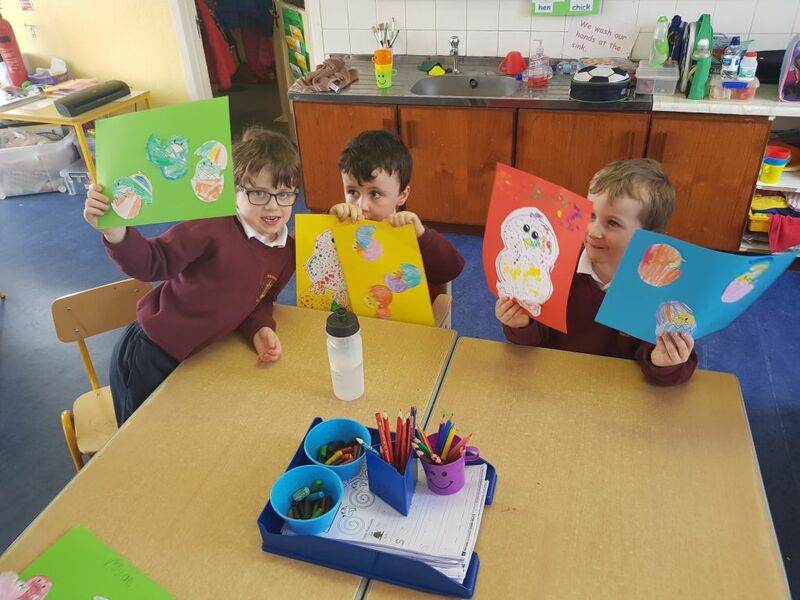 We talked about the Easter story in religion. 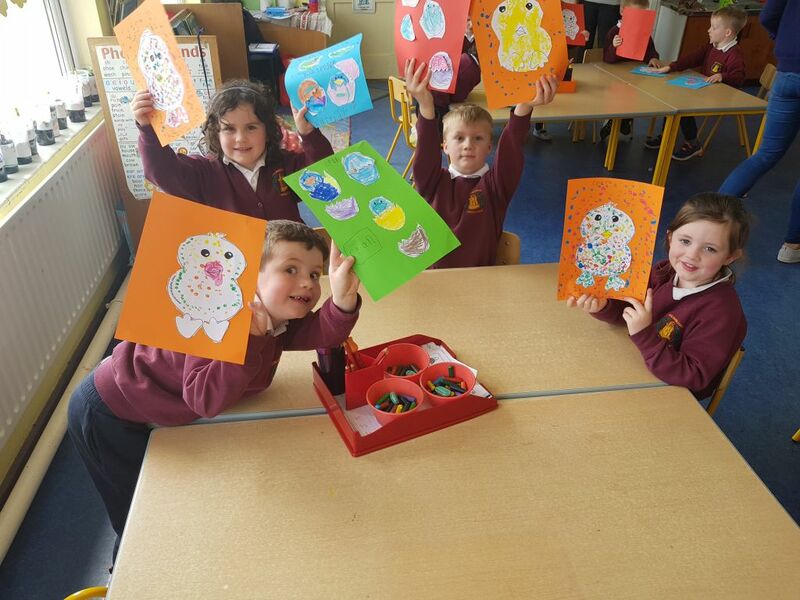 We made chicks in art-some of them are only hatching now! 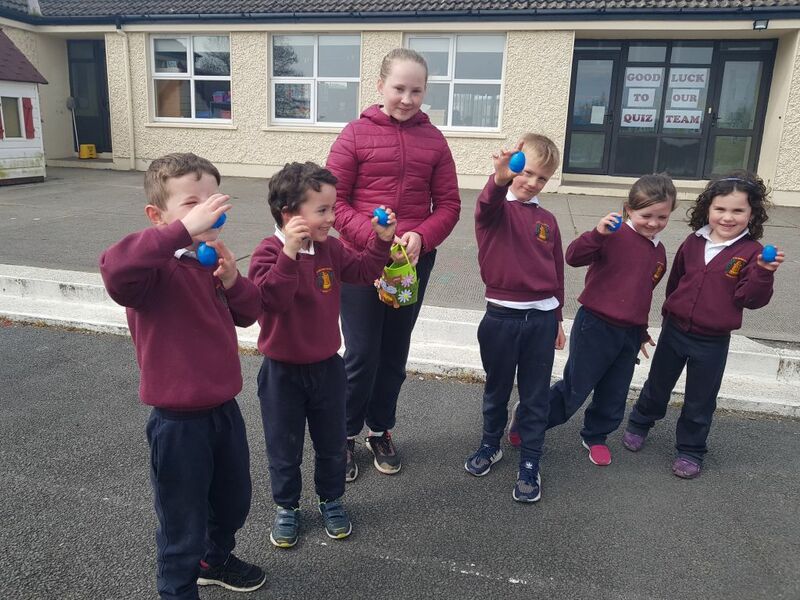 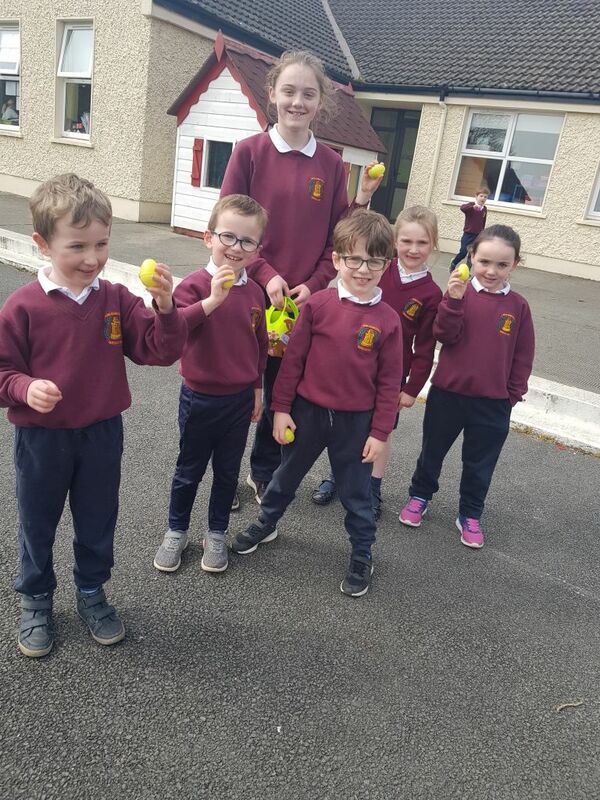 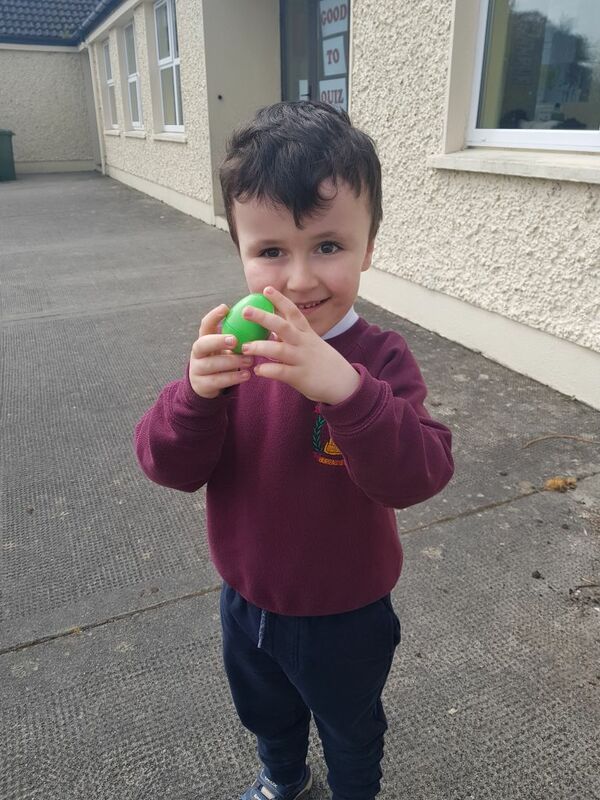 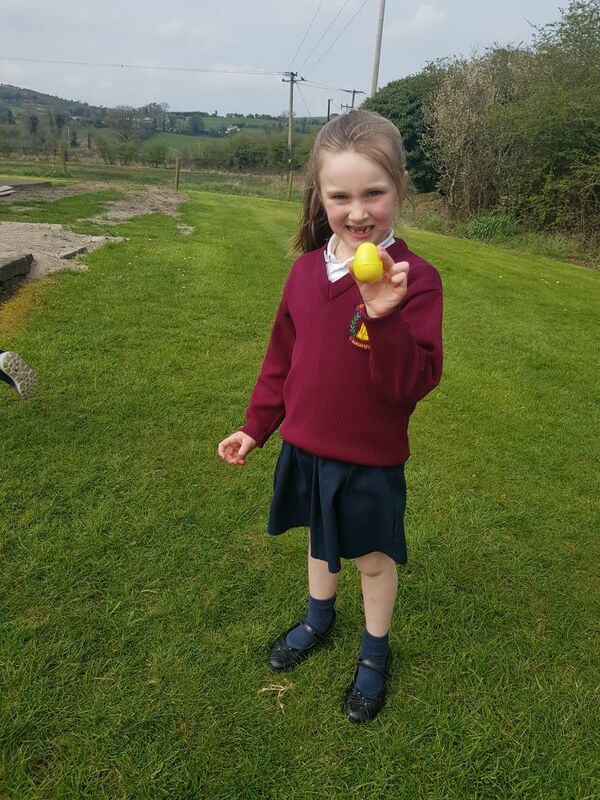 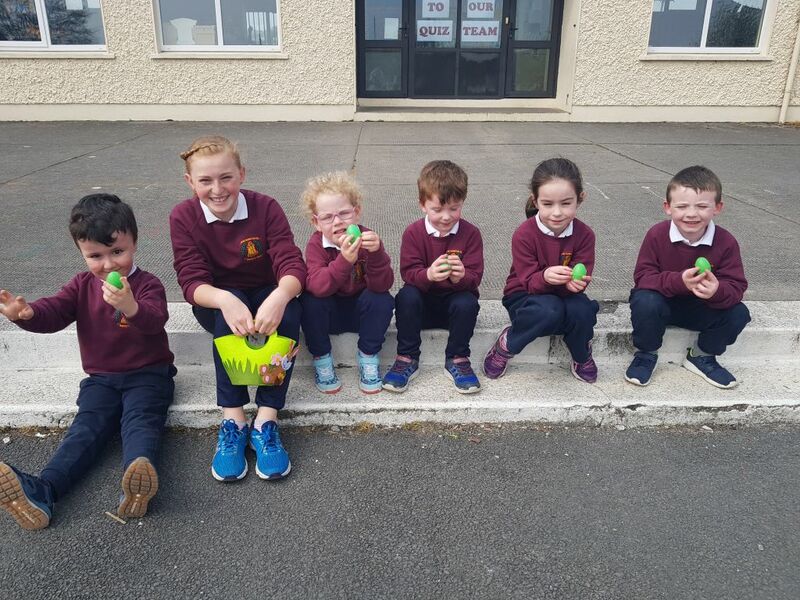 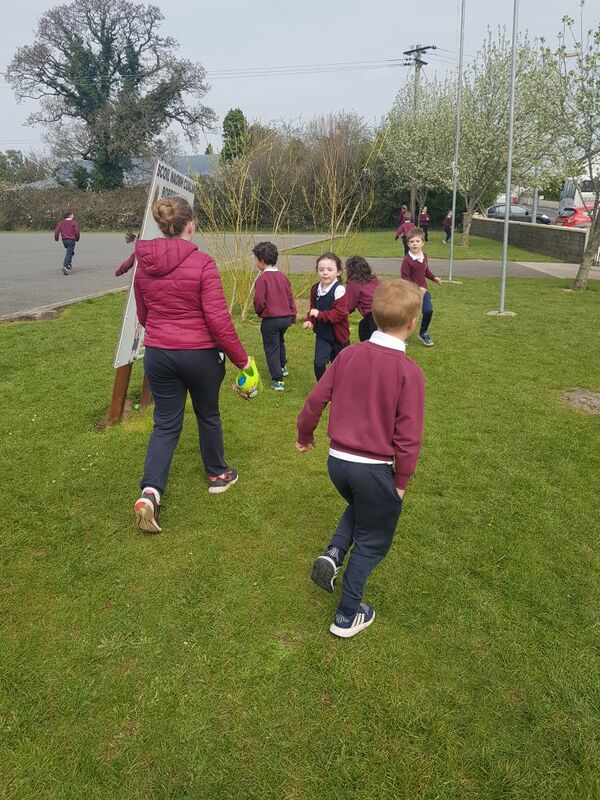 On Thursday we were egg detectives and had to find all the eggs hidden around the school. 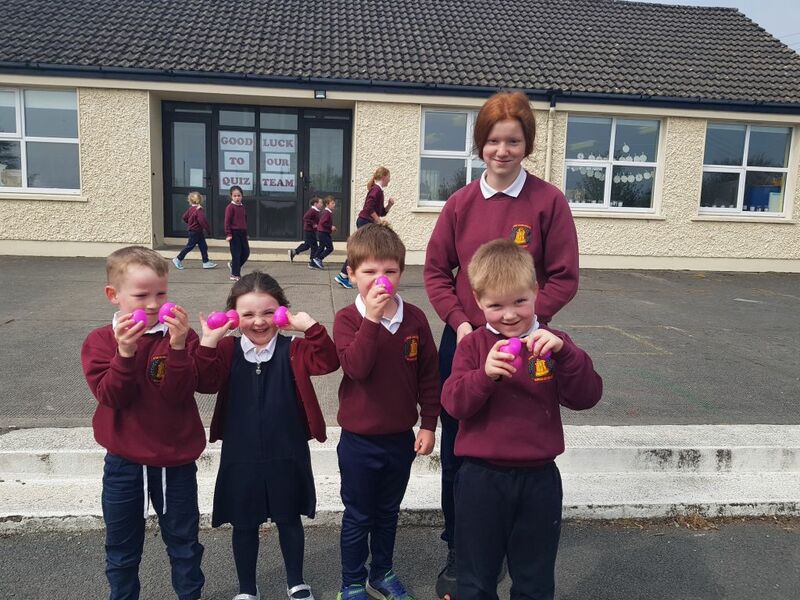 Luckily we had some of the 6th class were around to help us uncover them all. 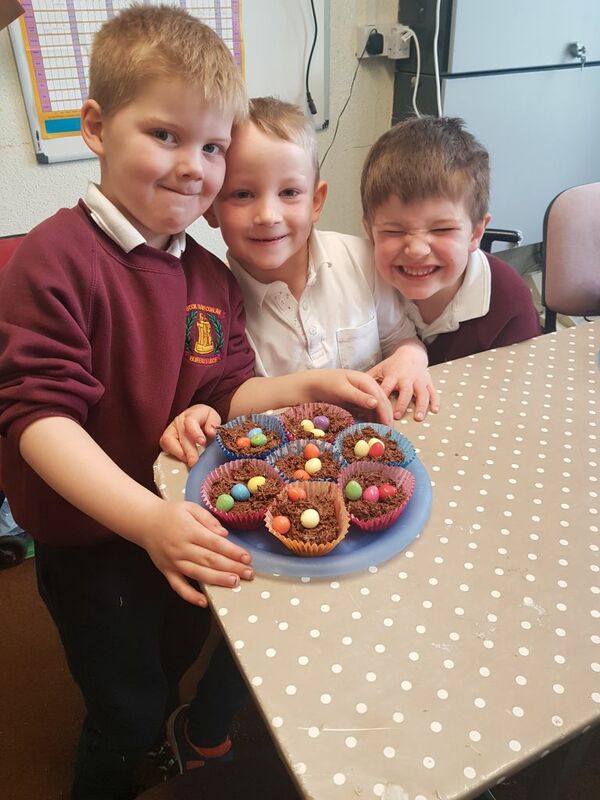 We also made some yummy treats.